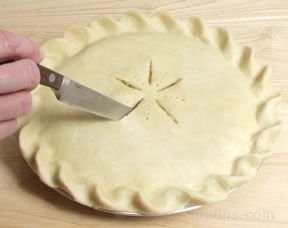 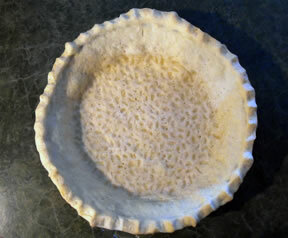 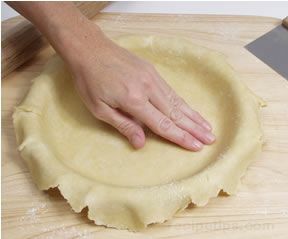 A cooking utensil that is used to protect the top fluted edge of the pie crust as it is baking. 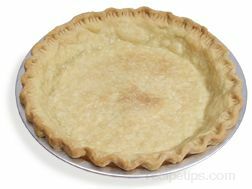 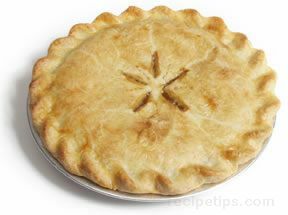 Typically made from aluminum, pie crust shields may be a solid one-piece round ring that is placed over the entire pie crust or individual crescent-shaped pieces that are placed individually on sections of the crust. 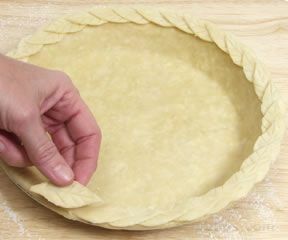 When using the crescent-shaped shields, 4 or 5 individual shields are used to cover the crust of a 9 to 11 inch diameter pie. 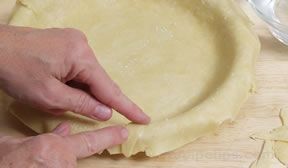 The shields are placed over the top of the crust just prior to baking and remain on the crusts during the baking process to protect the crust from burning or excessive drying from the oven heat.